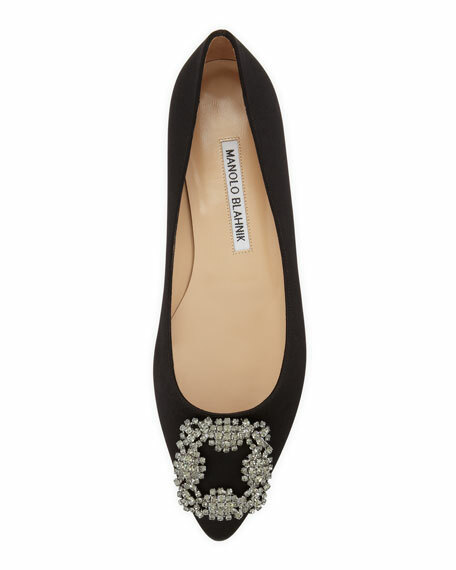 Manolo Blahnik flat with satin upper. 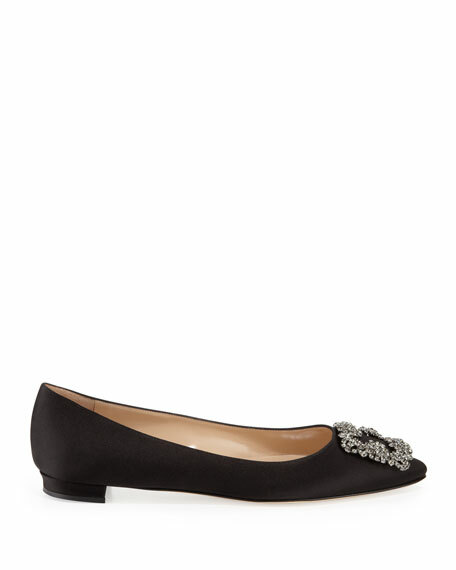 EXCLUSIVELY AT NEIMAN MARCUS Manolo Blahnik two-tone leather skimmer flat with brogue trim. 0.5" heel. Pointed cap toe. Shoelace bow detail. Leather lining and sole. "Boluflat" is made in Italy. Sizing note: Manolo Blahnik runs small. We suggest that you order a half size larger than you typically wear.